The public vote on our Facebook pages ended on Friday 27 January at 23:59, after a very large participation of the voters – over 4,000 votes, compared to 1,190 in 2016. Our Grand Jury selected 18 finalists by the quality and originality of the submitted articles. These 18 individuals won a magnum from Château Pichon Baron 2011 (second growth in 1855 in Pauillac) and a magnum from Château Suduiraut (Classified First Growth in 1855 in Sauternes). We would like to thank all participants (those who submitted articles, the voters, and our finalists) for their interest in our competition. Finally, we would also like to express our thanks to our exceptional partner, Château Pichon Baron (with the Axa Millésimes group) and to the great members of the jury, Aurélien Valance (Deputy General Manager of Château Margaux), Panos Kakaviatos (wine journalist), and Mike Turner (blogger and wine event consultant) who have shown great professionalism in selecting the 18 captivating articles. We are thrilled to announce the 6 winners of the 2017 Blog Awards contest! 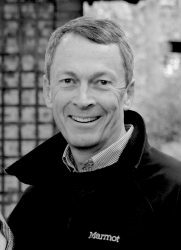 Daniel Ercsey is the co-author of “A Nagy Magyar Boratlasz,” an Atlas of great Hungarian wines, as well as many other publications related to wine. 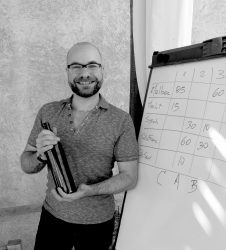 A permanent judge at international wine competitions, including the Concours Mondial de Bruxelles, Daniel is also co-founder and editor of WineSofa. This blog is defined as an editorial platform animated by experts from the world of wine and gastronomy from central-eastern Europe. This endeavour brings together photographers, chefs, cooks, graphic designers and writers specialized in wine. WineSofa centralizes opinions and testimonies from what these experts taste, photograph and experience during their travels or wherever they feel at home. Lisa’s love for food, wine and spirits led her on the road to many culinary adventures. After working in advertising at the New York Times, she turned to the French Culinary Institute as a first step into the world of gastronomy and wine. After years of working in recipe development and catering, she eventually turned towards the world of wine. A period at the Sommelier Society of America led to her selling wine and spirits at the Park Avenue wine shop Sherry-Lehmann for four years. More recently, Lisa began writing about wine and food through her blog, The Wine Chef. Lisa is also part of the Grape Collective team as a writer for the online magazine and is a saleswoman in their store at the Upper West Side of Manhattan. Chiara Bassi was born on 8 May 1985 in Faenza (RA) and graduated from Sommelier A.I.S. in the delegation of Alta Romagna. A lover of orchids and architecture has been in love with wine since her childhood. As a little girl she loved picking the grapes in the garden with her grandfather and crushing them in a wooden tank with her grandmother. Her grandparents produced a very small amount of sweet Albana wine, only consumed within the family. Today, Chiara prefers the red, sparkling and sweet wines. 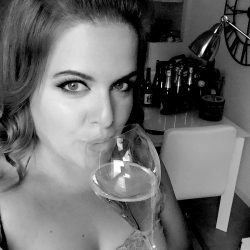 She is also a professional web designer who creates website for wineries, focusing on the development of e-commerce, label design … Chiara has always dreamed of making passiions, wine, writing and web, her livelihood. Since March 2015, she has been blogging at Perlage Suite. Less than two years old, Chiara’s blog addresses a growing audience of readers in Italy with a fresh style and a very pedagogical approach. Perlage Suite has more than 30,000 visitors and over 100,000 page views per month. Chiara draws inspiration from living on the lake of Iseo, in the appellation of Franciacorta. Jeff Burrows – USA – Blog Food Wine Click! Jeff lives in Minnesota. During the day, he worked as a research and development leader in a large medical equipment company. His field concerns the development of new pacemaker products. In his spare time, he likes to spend his evenings and weekends creating food and wine pairings and sharing his work and photography on his blog. With a natural taste for travel and discovery, he crosses the winegrowing regions of the United States and of Europe with his wife and children. Walking on the soils of the properties, meeting the producers, immersing themselves in the vineyards, these moments nourish his passion for wine. Open-minded and thirsty for knowledge, in 2016, he obtained his level 3 certification of the WSET (Wine and Spirit Education Trust). Agnes was born in Hungary, near the Austrian border (Burgenland). After studying English grammar and literature in another wine region, Eger, she studied journalism. It was during her years as a student that a casual interest in wine became a true passion. In 2004, she became editor-in-chief the Hungarian edition of the famous English Decanter. 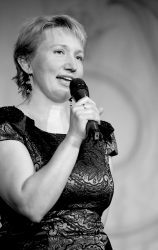 In 2010, she was the co-founder and inventor of VinCE Budapest, a major annual wine event held in March, and the first of its kind in Budapest. 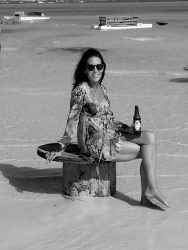 In 2011, she embarked on a new wine magazine of the same name, and VinCE magazine launched under her leadership as editor-in-chief. In 2013 she received the Pro Turismo Prize from the Hungarian Government for her extensive contribution to bringing international wine experts to Hungary. Finally in 2016, she chose to change course, and moved with her family to Spain (Catalonia) to live in the capital of Cava. She developed a structure of tasting and travelling around the wine (www.capitalofcava.com). 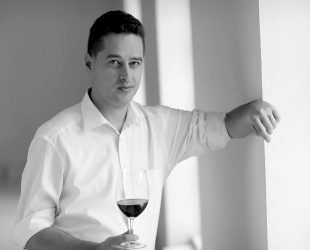 In October 2016, this indefatigable entrepreneur launched the only English-language information website on Hungarian wines (www. Hungarianwines.eu). 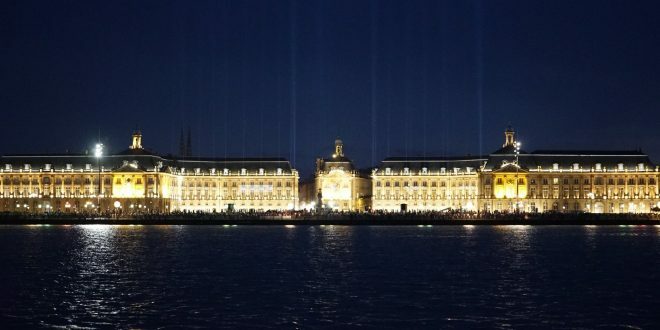 The entire Millésima team and our partner Château Pichon Baron are waiting for the arrival of these six excellent winners in Bordeaux – from April 1st to 7th – for a thrilling week and a complete immersion into the world of wine. Without revealing the whole program, they will be tasting the 2016 vintage during the en primeurs week in various renowned properties. We are looking forward to seeing you soon! On behalf of the entire Millésima team, we would like to thank all the participants for this great 2017 edition of the contest! Find us on Facebook, Twitter and Instagram using the hashtag #MillesimaBA2017 and #PichonBaron to stay informed of the news of the contest and share this exciting experience with our 6 winners. Next: Tasting South African Wines and more!